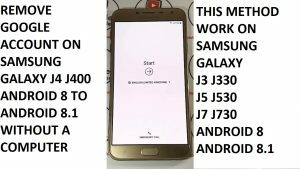 You can skip Google Account from Samsung galaxy j4 j400 without a computer . This entry was tagged bypass frp lock samsung j4 j400 androi 8.1, bypass google account samsung j4 j400 android 8, bypass google account samsung j4 j400 android 8.1, remove frp lock samsung j4 j400 androi 8, remove frp lock samsung j4 j400 androi 8.1, remove google account on samsung j4 j400 android 8, remove google account on samsung j4 j400 android 8.1. Bookmark the permalink.